Save the date for the Big Salty 2019 Annual. Short little video to help remind all to save the date for Big Salty's 2019 Multi-Club Annual. Video Salute to the surrounding area Cowboy Shooters. 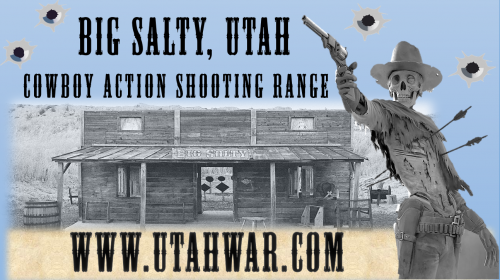 Big Salty "Ghost Town of the West" updated their cover photo. Big Salty "Ghost Town of the West" updated their profile photo.